Ideal for fruits transportation and packaging. This profit center blends the tradition with the inovation. With a production capacity exceeding 300 to/month, our processing lines are daily producing a large variety of products: transparent / colour film, having different employments in agriculture, constructions, for general purpose or thermo-shrinkable.These films may contain UV stabilizers, anti-sweat or anti-static treatment – depending on client’s requirements.The film can be produced in a wide dimensional range or structural variety – folded, perforated or printed according to the requests. We also produce coverings, thin or thick sacks and bags, plain or printed up to 6 colours, anti-dripping bags. 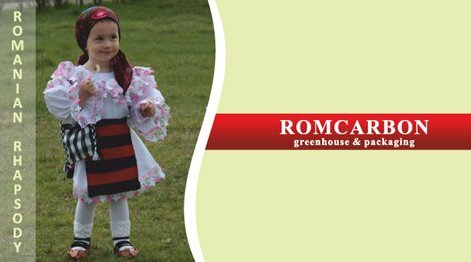 ROMCARBON S.A. is the first Romanian producer of a multistrat film with wide range of width, between 2 and 12 m and thickness between 0,1mm (100 microns) and 0,2mm (200 microns).